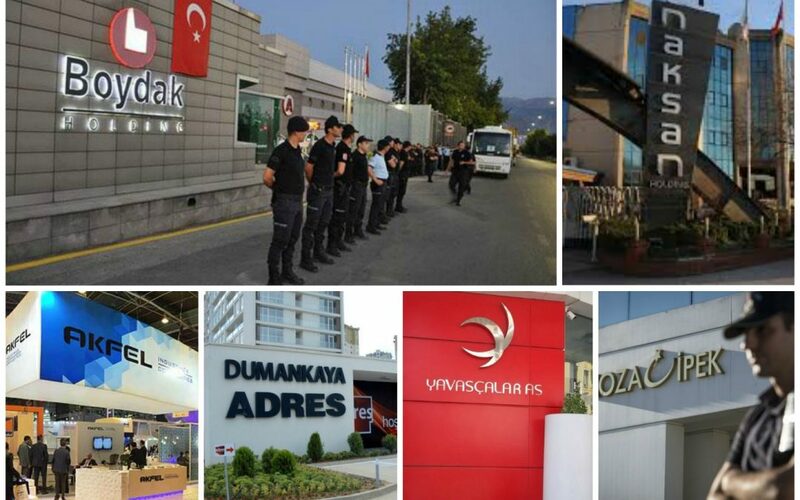 Turkish Deputy Prime Minister Numan Kurtulmuş said on Monday that the government has seized 966 companies from people allegedly linked to the Gülen movement as part of a witch-hunt launched following a failed coup attempt in July of last year, DHA reported. “In addition, 4,888 assets of those 966 companies were also seized and transferred to the Finance Ministry,” said Kurtulmuş, speaking to reporters following a Cabinet meeting in Ankara. Kurtulmuş also said 111,240 people have been dismissed from state jobs and 32,180 have been suspended in the same period. A total of 7,348 people, including 302 academics, were dismissed from state institutions by a new government decree, known as a KHK, that went into effect on Friday. Turkish Justice Minister Bekir Bozdağ announced on July 7, 2017 that at least 50,504 people have been arrested and 168,801 are the subject of legal proceedings since July 15, 2016. Turkey survived a military coup attempt on July 15, 2016 that killed 249 people and wounded more than a thousand others. Immediately after the putsch, the Justice and Development Party (AK Party) government along with President Recep Tayyip Erdoğan pinned the blame on the Gülen movement. This article originally appeared in Turkish Minute on July 17.